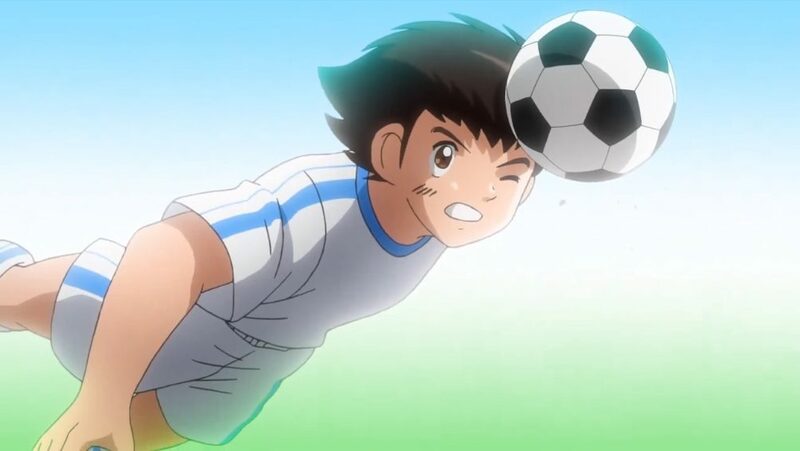 Captain Tsubasa Episode 8 was aired on Tuesday, 22 May 2018. The first match of Captain Tsubasa was really impressing, at the start, I was hoping that they will improve the animation of the match and they have. I have to say there has been a drastic improvement. Perhaps there was no need for any complex animation at the first few episodes. Captain Tsubasa episode 7 was awesome, along with episode 6 it built up our expectations for the game greatly. I was very excited to see episode 7 and the beginning of the match. The match beginning was also great. Tsubasa played as a defender and it shocked everyone that Nankatsu could not score. I think that it also dealt some emotional damage to Wakatoshi. Which later served as a great background for his character development. The development served not only to build his character. But to also elevate him as a player and a captain. At the beginning of the episode, we see an attack from Tsubasa from all the way behind the center. At first, everyone was shocked, and Wakatoshi defended against it with ease. Roberto was a bit worried as to why Tsubasa did that, but it was all to draw attention to him, and let Nankatsu players advance forward. We can see a definite improvement in Nankatsu members playing. The hard training paid off for Nankatsu team. Captain Tsubasa episode 8 started very nicely. After having a decoy tactic to shoot at the Shuutetsu goal. Tsubasa and Nankatsu almost scored. 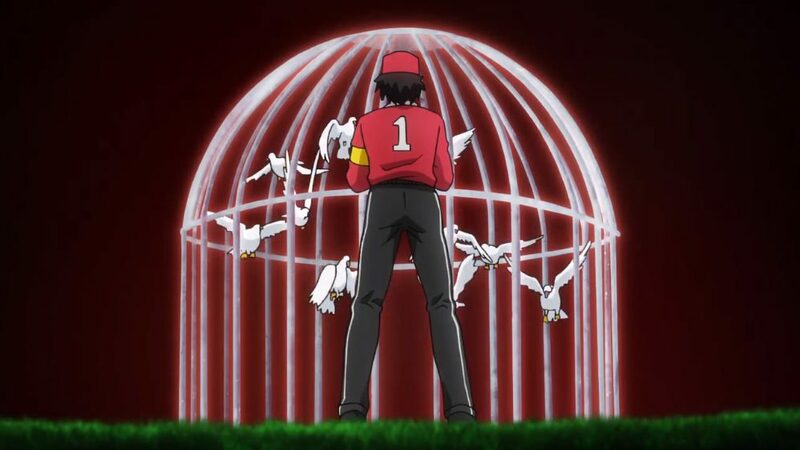 After that Wakatoshi became a bit concerned and brought forth the birdcage tactic. It’s a tactic many professional players use to keep their lead safely in the game. You could call it a chicken tactic, but many teams do this. After hard work from Ishizaki, the team finally escaped birdcage. And it was time to strike back at Shuutetsu. However, Ishizaki was a bit injured after exerting himself for a long period of time. Although he was injured, it helped Tsubasa a lot. He launched a solo attack at Shuutetsu and almost scored a goal. Wakatoshi managed to defend it. However, it deflected and hit the crossbar. At which point Tsubasa did an amazing overhead kick and scored the tying goal of the game. It was now 1-1 and Wakatoshi had just lost to Tsubasa. This gave Wakatoshi emotional damage, and he almost quit the game. During their pause, Wakatoshi went through an argument with his coach and trainer. This made him realize that he is not fighting for himself and that he is fighting for his team. After Wakatoshi came back into the game, it was really hard to play for Nankatsu. However, a new player also joined them. The transfer student Tarou Misako came to play instead of Ishizaki. He is also a friend with his ball and is almost as good as Tsubasa. The combination play between him and Tsubasa was awesome. Even though they just played first. It seemed like Nankatsu would win, but in the end, they did not. They lost during a corner kick when they passed the ball to Wakatoshi. Wakatoshi had a great kick, he could probably a good player as well. He is definitely a well-rounded player. It was proven that he deserves the captain role. This episode also served quite a lot for his character development. If you have loved Captain Tsubasa Episode 8 do comment about it in the comment section below.